Take A Bow, a Huge Pink Bow. — Geoff Howell Studio Inc.
Take A Bow, a Huge Pink Bow. 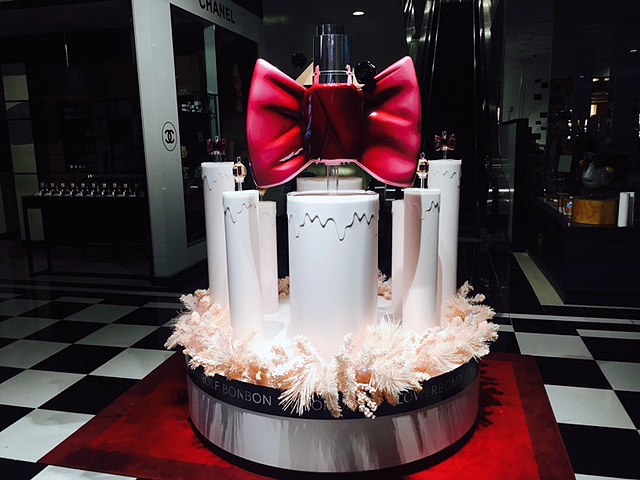 Viktor and Rolf have 'Flowerbombed' Bloomingdale’s once again, sharing the stage with BonBon, this time for Holiday! For our part we created the giant perfume bottle factice and risers which were created to mimic the warm glow of candles, surrounded by a pale pink holiday garland. We also created the luminous bottle silhouettes atop clear plexi tables.